The Star of David is surrounded by a ring of Ivies, Roses and Rose buds. The "ring" symbolizes the Circle of Life, Eternity. The Orthodox text is written in dark red on the "parchment" background. 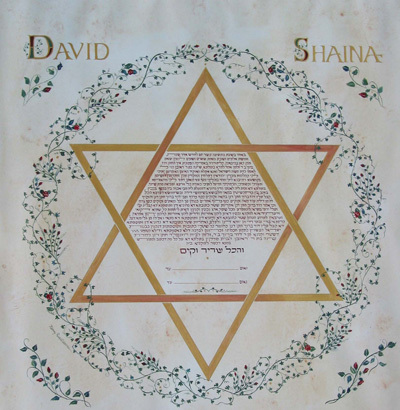 The names of the Bride and Groom are written in English with illuminated capital letters.